Which Is Better for LLC Formation? Searching for the right service to help you start an LLC? We used Incfile and LegalZoom to form real LLCs, then compared their features. In this Incfile vs LegalZoom review, we answer three simple questions to help guide you through choosing the best service for starting your business. 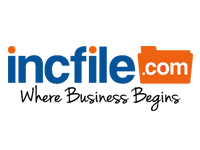 We recommend you use Incfile to form your LLC. While examining Incfile and LegalZoom, we first focused on the three main questions that would ease any LLC owner’s worries. Answering these questions will boost your confidence so you can choose the service that gets your business formed and running. For each product, we’ll explore whether the services are a good deal, if there’s a better deal out there, and experiences of other customers using the service. Short answer? Yes! Along with ranking higher across our other criteria, Incfile provides a great value in its basic features. For only $49, they'll process your order within the next business day and serve as your registered agent free for a year. Incfile also offers great features in its middle and top tier packages*. Many competitors have frustrating hidden fees and lack transparency in the checkout process. Incfile is not one of these companies. You're only offered additional services relevant to the tier you picked. *Note: A more inclusive breakdown of each company's basic, middle, and top tier service packages is featured at the end of this review. LegalZoom recently reduced the pricing at all levels, starting with $29 for their most basic LLC formation tier. With this pricing change, other features such as operating agreement creation, EIN registration, and licensing searches have been taken out of the packages and added as a la carte options from $99 to $199 on top of the initial cost. This, along with $159 for registered agent services in the first year make LegalZoom more expensive than it seems at first. Is there a better deal? There isn’t much of a better deal than Incfile when it comes to pricing. In addition to offering a large number of affordable features, we found it to be the best overall service. If you’re comfortable with a more established company that has higher brand recognition, LegalZoom is the service you’ll want to go with. There are better deals out there such as Incfile, with its basic tier quickly giving you everything you need. In contrast, LegalZoom’s services require extra fees for the same level of service. Who uses this service and how was their experience? "Quick and simple. Also the dashboard they provide makes it easy to stay up to date and current on any the business issues having to do with the LLC." "I had never started a business before, so LegalZoom was a perfect place to go. It let me take my vision for the company and make it a reality, legally." 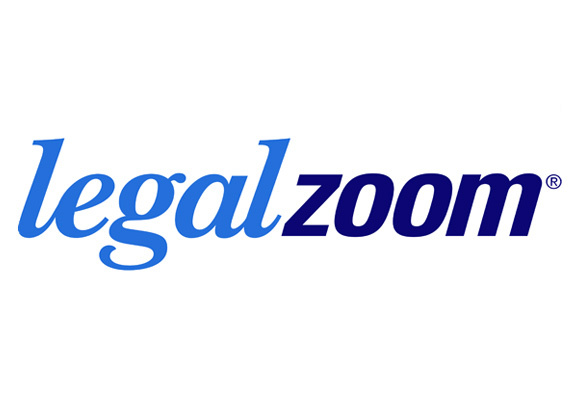 "We've used [LegalZoom] for quite a few things over the years, and overall it's gone very smoothly. They've been easy to work with and very affordable." Based on the questions above, Incfile is a good choice if you want to save money and receive quick, valuable services. LegalZoom is a good choice if you want a more experienced and well-known brand. After answering the three questions, we further investigated what you should keep in mind before making your choice. We’ve separated these points into four topics which are outlined below. LegalZoom’s customer service is available for more hours, and ratings are available on more platforms than Incfile. One main area where LegalZoom appears to be the clear winner is in customer service. With more reviews available on platforms like SiteJabber (661 reviews, 3.3/5 stars) LegalZoom tends to outrank Incfile. Their phone support line is also open 34 more hours a week, with additional hours on weekdays and Saturday hours. Incfile will process your order the next business day as a standard package feature. This is the sort of customer-focused approach we love to see. While no company can affect the turn-around times of state filing, being as fast as possible in processing orders can make a big difference in decreasing turnaround times. Incfile's operating agreement and EIN services cost less a la carte than LegalZoom and are included in their more premium packages. LegalZoom no longer offers these necessary features as part of any of their packages. Instead, they are offered on top of the package price, which means the price can add up fast. So if you were to order LegalZoom Standard with an EIN, operating agreement, and registered agent service, you would pay almost an additional $500. Both services are very user-friendly, offering a clean design and simple navigation for LLC formation. However, Incfile provides an ongoing dashboard for the business owner after formation. The dashboard acts as a central repository for important documents that the user can access at any time. Incfile gives a year of registered agent service for no cost and $119/year after this. LegalZoom does not give this service away, charging $159/year starting at the time you form your LLC. When combined with the initial difference in price, this means you will save up to $239 in the first year for comparable services. Read on for a more in-depth, side-by-side breakdown of each company's basic, middle, and top tier service packages to see how these companies differ and which might be a good choice for your company. Incfile and LegalZoom offer additional services beyond forming your LLC. Some features can be purchased independently, offering even more pricing flexibility. Below, you’ll find a side-by-side comparison of their basic packages and the features that are valuable for forming an LLC. Please note that the service costs for each tier do not include the State filing fees which vary by state. A legal document that declares the name or names of an LLC’s owners, their percentage of ownership, and operating procedures for the company. The company will act as your legal point of contact for the government to receive important notifications or mailings on your behalf. Employer Identification Number (EIN) works essentially the same as an individual’s social security number, except for businesses. It’s how the government is able to keep track of your business’ tax status. The company will keep you notified of upcoming legal filing requirements, such as your annual reports. Advisory services provide additional resources or advice on matters pertaining to business, law, and/or tax. The company will assist or arrange for an affiliate to help reserve a domain name for your company website. For $49, Incfile provides next-day processing and will also serve as your registered agent for one year at no extra cost. LegalZoom only includes a 30 day order processing guarantee, and requires $159 annually to be your registered agent. Incfile also gives you access to a fully-developed platform with company alerts and a 1-hour tax consultation. To start, Incfile includes an operating agreement and EIN number with their Silver package. With LegalZoom those two features will cost you an extra $159 at any package level. LegalZoom’s Standard package adds a Corporate Kit, and reduces processing times to 15 days for an additional $270. Meanwhile, Incfile gives you a “Custom LLC Kit” with their middle tier offering, adding a contract template library and 20 personalized stock certificates on top of regular Corporate Kit essentials, all for almost $100 less than LegalZoom’s middle tier. LegalZoom’s Express Gold essentially just adds faster shipping and processing times in addition to access to a 7 day a week customer support line. Incfile, which offers next-day processing at every level, adds expedited shipping to return your filings. Still, the main advantage of Incfile’s Platinum package is the inclusion of business contract templates and a free business website and domain name. For businesses who need website help, this can add a ton of value.